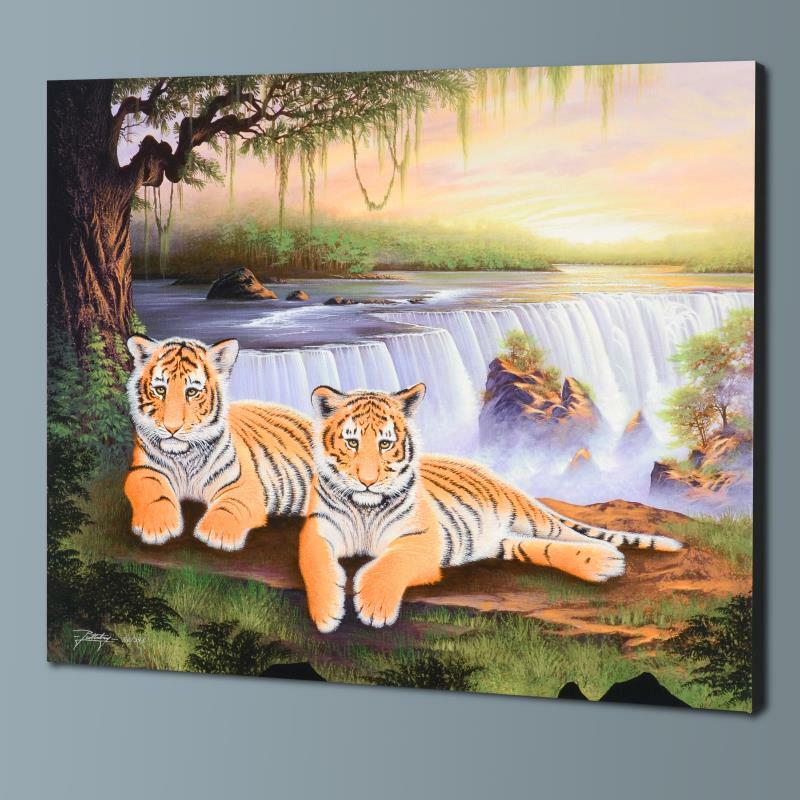 "Tiger Falls" Limited Edition Giclee on Canvas by Jon Rattenbury. Numbered and Hand Signed by the Artist, with Certificate of Authenticity. Gallery Wrapped. With an impeccable talent for capturing light and shadow, Jon Rattenbury creates luminous landscapes that are replete with bright colors and intricate details. "Tiger Falls" is a limited edition giclee on canvas, numbered and hand signed by the artist, with Certificate of Authenticity! This piece comes gallery wrapped. Measures approx. 24" x 20" (image).